This type of balding starts at the top of the scalp and slowly spreads to the rest. It occurs only in black women. Because there is no treatment for it, Kyei decided to try to find out what is causing it instead. Reseachers found that women with scarring hair loss were also more likely to have type 2 diabetes, to braid or weave their hair tightly, and to have bacterial scalp infections. Read MORE of this Reuters story at MSNBC. It’s obvious why so many women are already walking around looking like plucked chickens, but that almighty fake hair rules like nothing else. No one cares about baldness and extreme hair loss it seems. I feel sad observing little girls exhibiting all the signs of traction alopoeia which will only fuel the obsession for this type of hair. Black women can suffer hair loss from perms and weaves as well. Why isn’t that mentioned in the article? Black hair is very delicate and not ‘tough’ or ‘hard’ as we often stereotype to be. I remember singer Vesta said she had to have surgery to have the weaves taken out of her scalp. That’s how much damage hair weaving did to her scalp. She stopped wearing weaves after that. Braiding can be adjusted so the hair isn’t braided tightly. The reason some folks braid the hair tightly is because it looks ‘neater’ and keeps the hair in place. But that’s not a good idea as the article points out. Also, if there are bacterial infections, it is also probably because yaki hair or whatever hair is being used, is not sanitized or cleaned before being woven or braided into the hair. I just read the article and it mentioned that women who have this conditioned also had their hair straightened or permed when they had the weaves or braids put in. It’s a combination of both processes that is causing the hair damage. One should never straightened the hair and braid it or weave it. That is what causes the breakage. 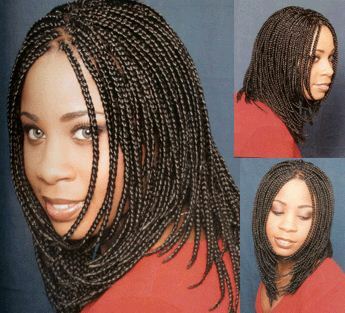 I never thought it was a good idea for Black women to straightened the hair and then braid. It causes too much tension. Plus, it would be better if black women actually went to people who are licensed and understand the intricacies of Black hair and not just go for the ‘domicanian blowouts’.